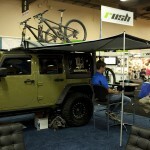 There were plenty of companies at InterBike showcasing their latest bike transport products this year. While many of the usual suspects were on site with their latest offerings there were also several new kids on the block that were offering some innovative and exciting options. 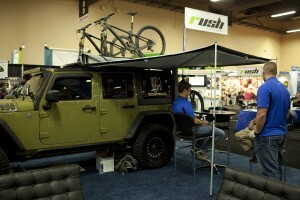 A relative newcomer to the U.S. market, Australian based Rhino-Rack has been making cargo racks for close to 20 years. 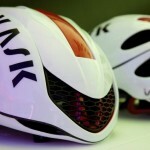 They offer a wide range of bike and gear transport options and plan on expanding the line in the near future. With products such as their integrated tent and canopy systems, internally reinforced roof rack system, and a focus on aggressive price-points, this is a company to keep your eye on. CargoGlide has been manufacturing slide-out trays for trucks, vans, and SUVs for years. 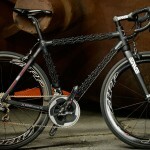 They are now expanding their line to include cycling specific options. 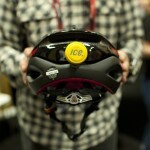 This year, they were at InterBike showcasing their brand new cycling specific products. 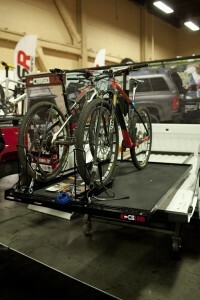 Their slide out trays install directly into the bed or back of vehicles and provide easy access to bikes and equipment. 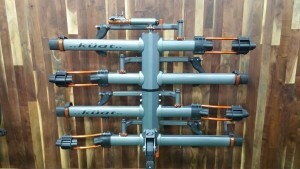 Options include fork mounts or stand-up style racks. 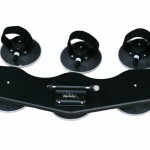 Their trays can also be used in pick-up trucks in combination with Rhino-Rack’s bed cover bike rack so that you can mount your bikes on the cover and still have access to equipment that is stored in the bed of the truck. 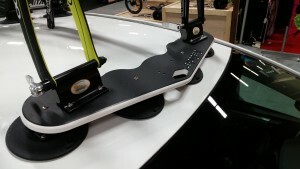 Thule is best known for their racks but the company has expanded to include commuting and touring accessories for cyclists. 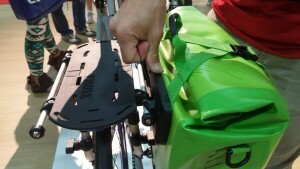 Their new lines of racks and bags are easy to use, stylish, and very functional. 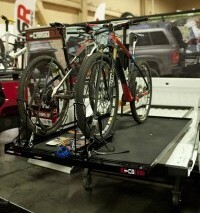 With Thule, you can carry your gear on your bikes in addition to transporting your bikes on your vehicles. SeaSucker is a product that receives a lot of stares, mostly of disbelief. People can’t seem to believe that these racks could possibly secure a bike, reliably, to a car. SeaSucker uses vacuum cups (not suction cups) to create a strong bond with the surface it is attached to. 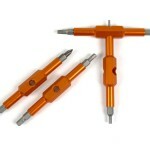 The racks are lightweight, easily installed or removed, and easy to operate. The easily fit on a wide variety of vehicles and according to the company, can withstand a lot of abuse without failing. Check back for write-ups about each of these companies and their products.